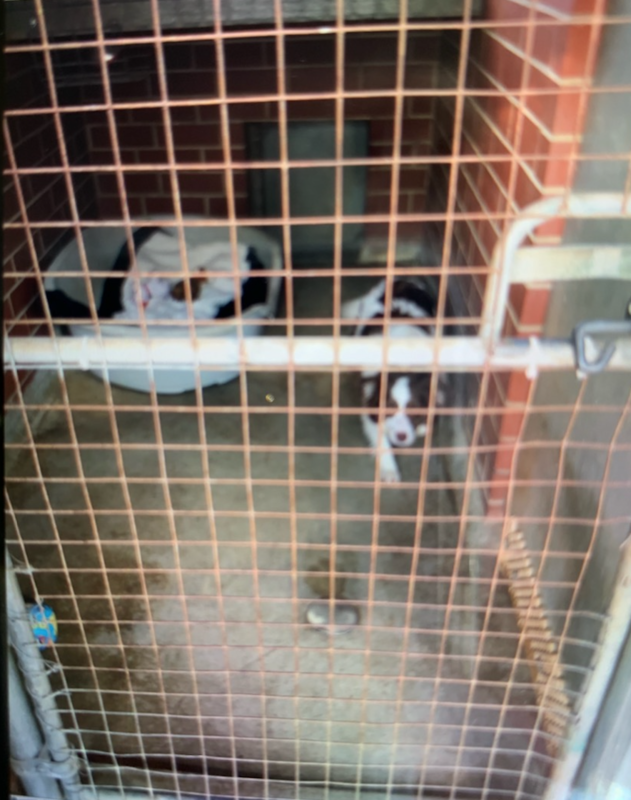 While puppies in the video above were 'assessed' but not seized, ten adult dogs were taken from this facility and transported to the RSPCA Lonsdale. 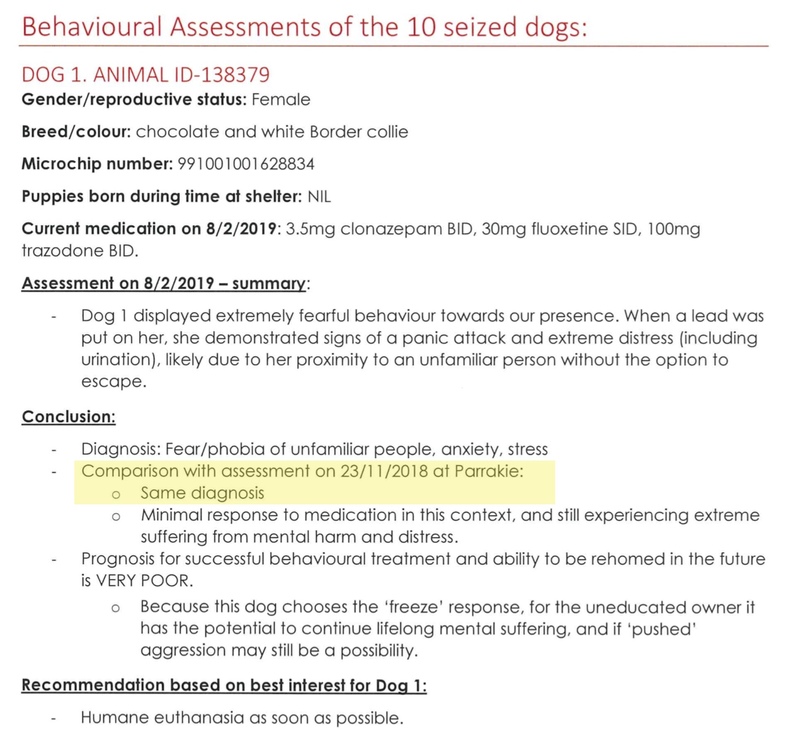 At the beginning of February the dogs were again formally 'temperament assessed'. Out of the ten dogs, all ten of them were deemed "unsaveable". A 100% failure rate. 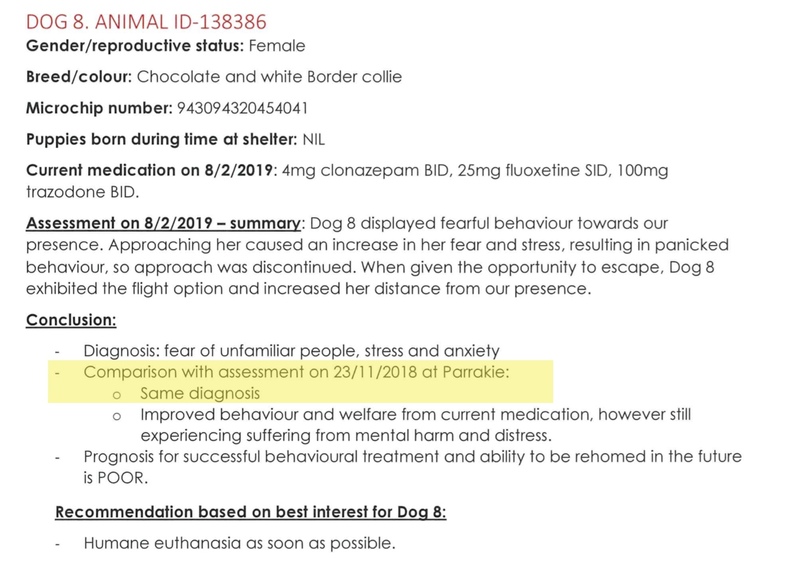 After four months with the RSPCA 'Dog 1' is just as sick as she was when she was collected by the RSPCA SA. The behaviourist recommends she be killed. 'Dog 2' had four puppies while in RSPCA SA care. 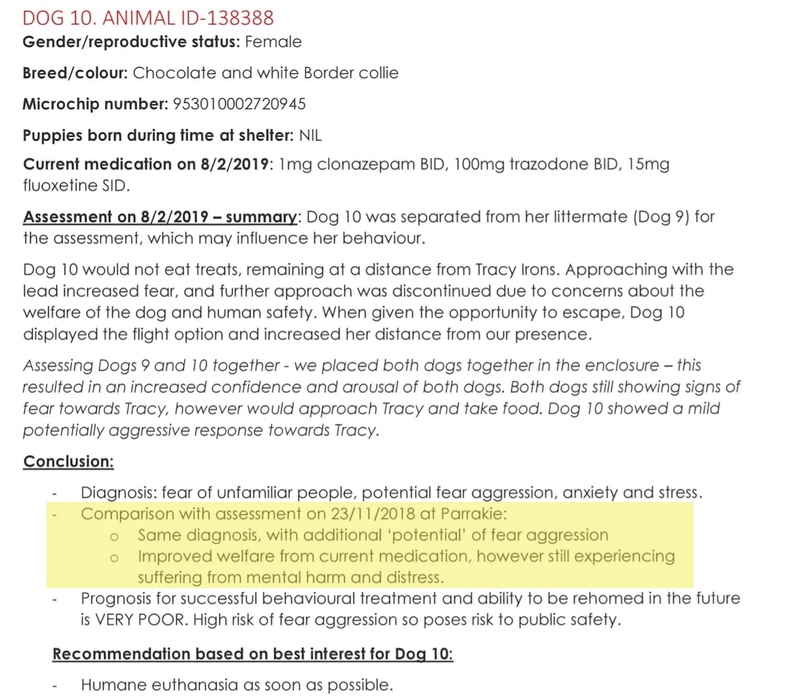 She is now sicker than she was when she was seized by the RSPCA SA. The behaviourist recommends she be killed. 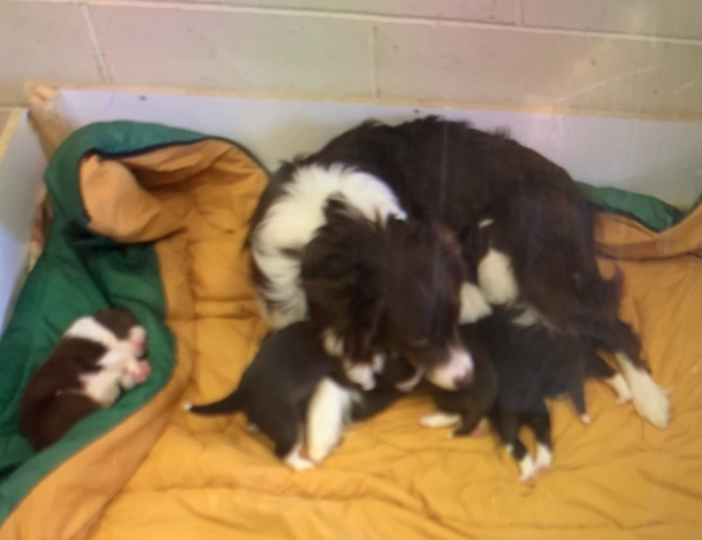 'Dog 3' had six puppies while in RSPCA SA care. After four months, she is just as sick than she was when she was seized. The behaviourist recommends she be killed. 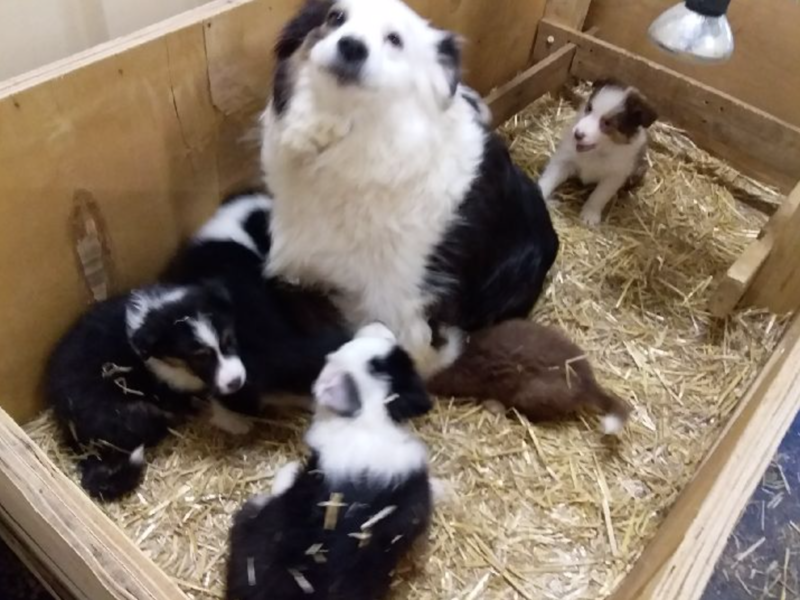 'Dog 4 - Alice' was seized with her 5 puppies. 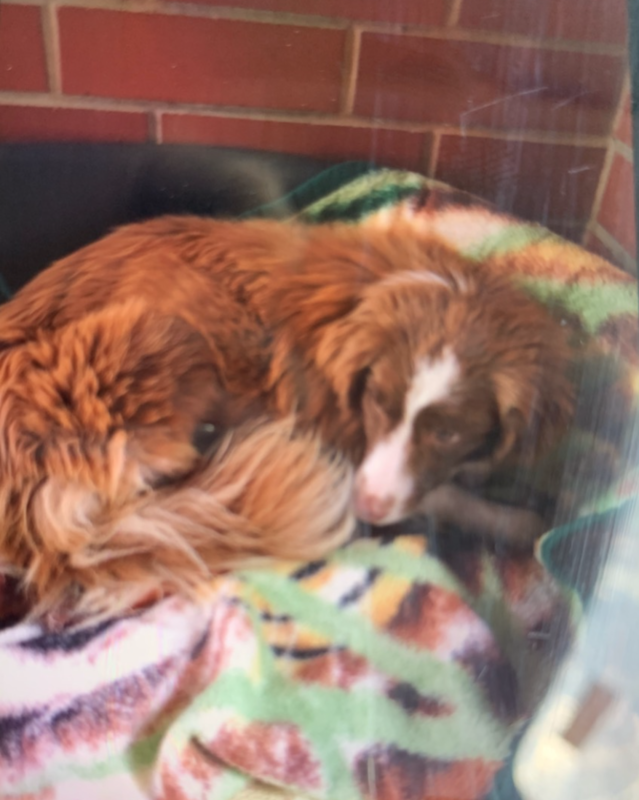 After four months in RSPCA care, she is sicker than she was when she was seized by the RSPCA SA. The behaviourist recommends she be killed. 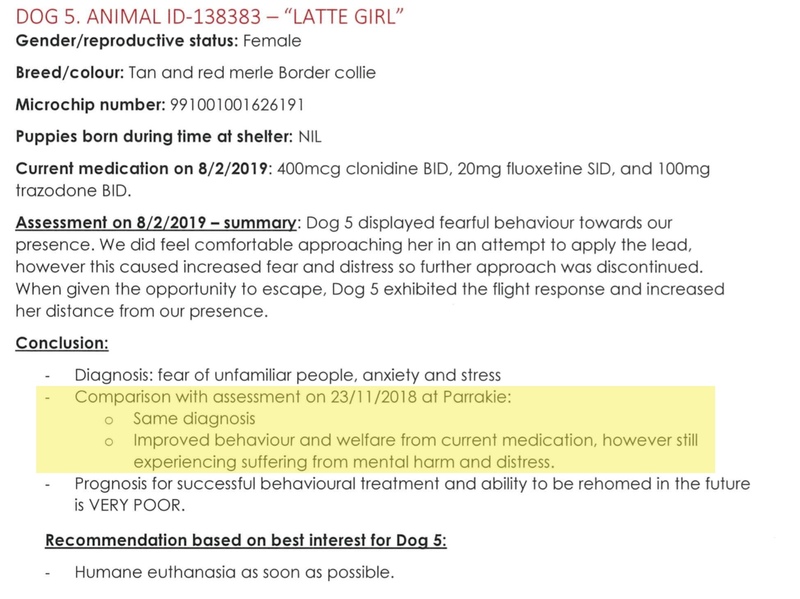 After four months in RSPCA care, 'Dog 5 - Latte' has shown some improvement in her behaviour and welfare. The behaviourist recommends she be killed. 'Dog 6 - Dusty' had six puppies while in RSPCA SA care. 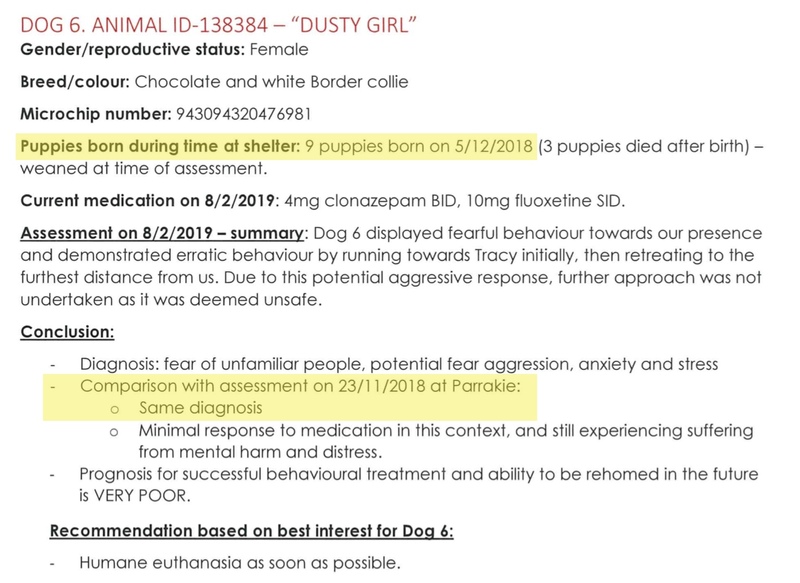 After four months, she is just as sick than she was when she was seized by the RSPCA SA. The behaviourist recommends she be killed. 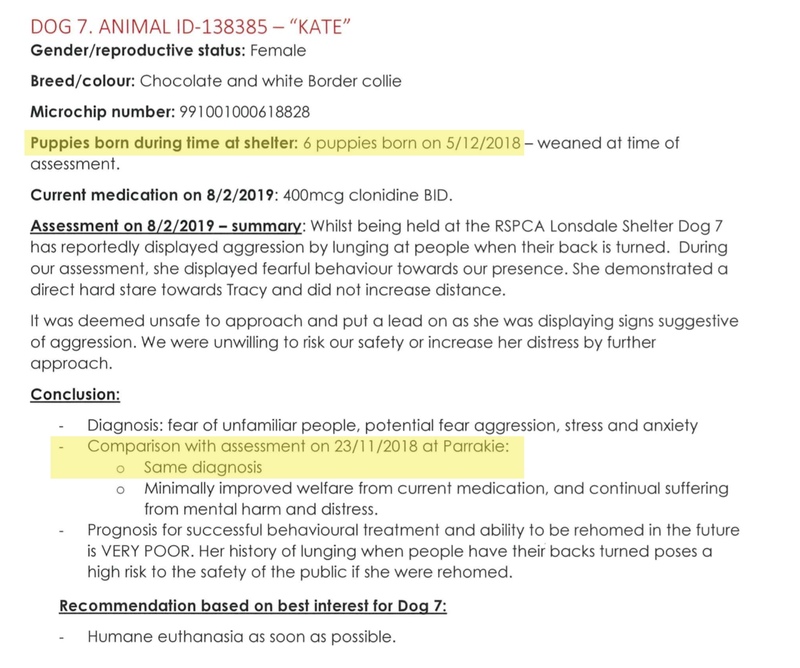 'Dog 7 - Kate' had six puppies while in RSPCA SA care. 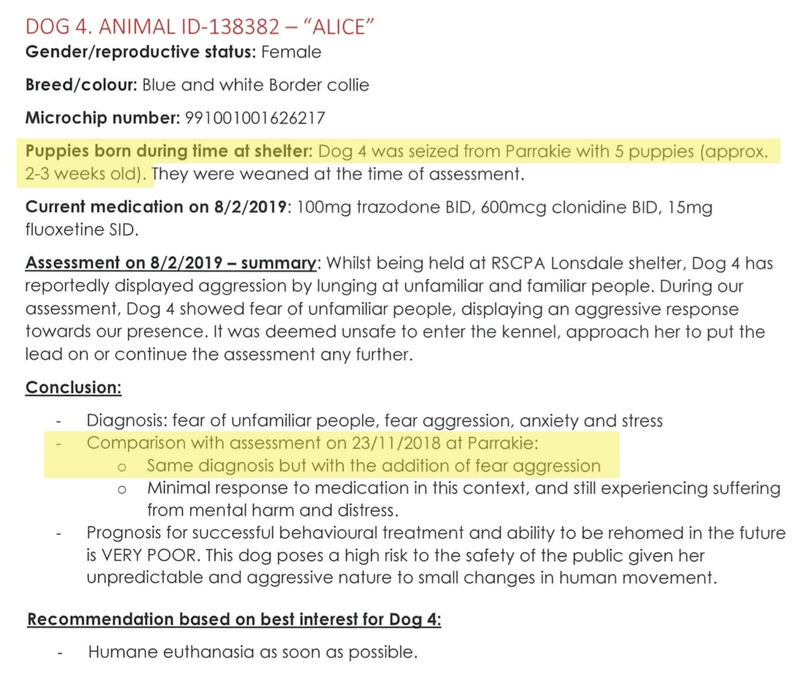 After four months, she is just as sick than she was when she was seized by the RSPCA SA. The behaviourist recommends she be killed. 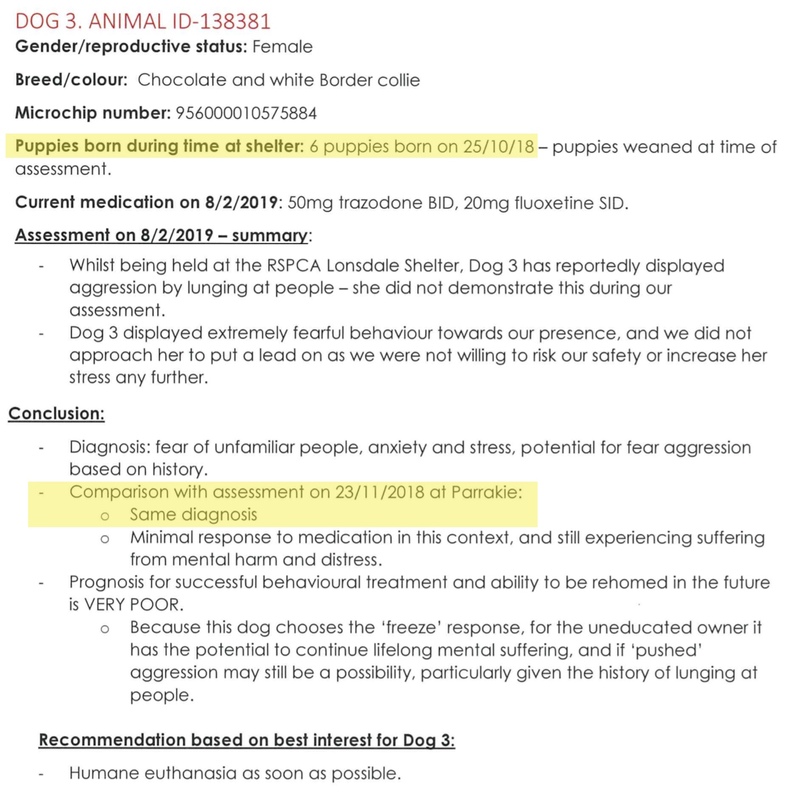 After four months in RSPCA care, this 'Dog 8' has shown some improvement in her behaviour and welfare. The behaviourist recommends she be killed. 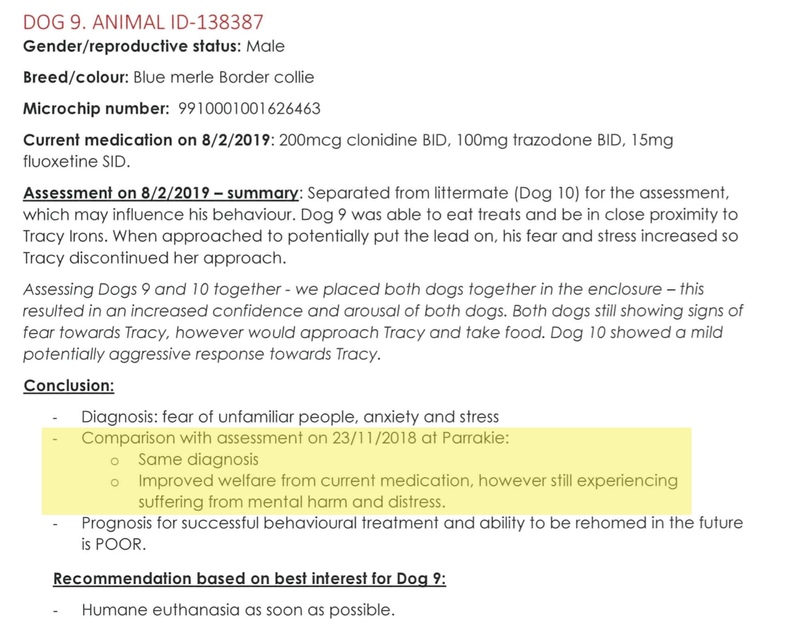 'Dog 9' and 'Dog 10' were housed together and both have shown some improvement in her behaviour and welfare. The behaviourist recommends they both be killed. RSPCA care didn't help these dogs. 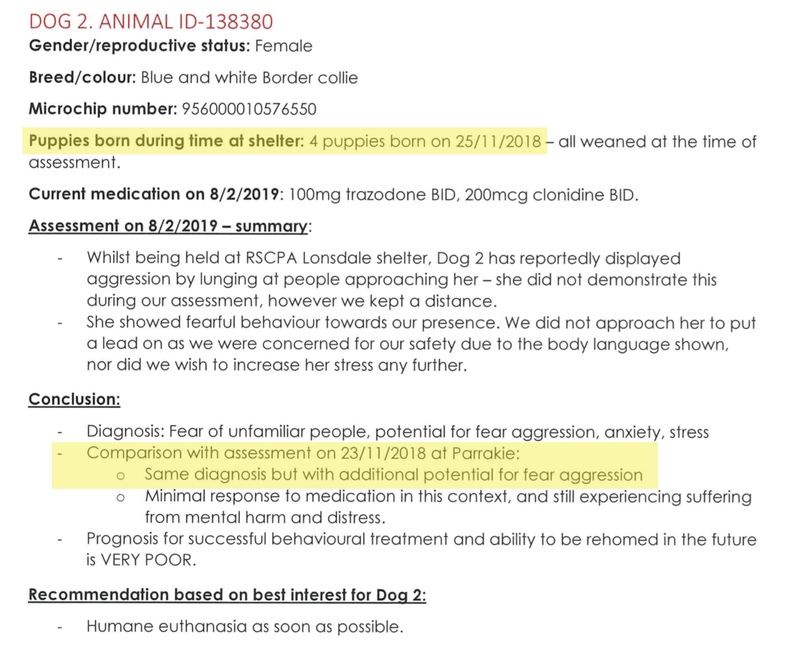 That they didn't consider foster care an appropriate option for a puppy farmed dog. But that they knew that these dogs wouldn't get better - couldn't get better - in the environment of the shelter. What the hell kind of "rescue" is that?